Everted rim; inner edge rounded on top, flattens towards outer edge forming ledge for lid; slightly concave below, offset from wall by groove. 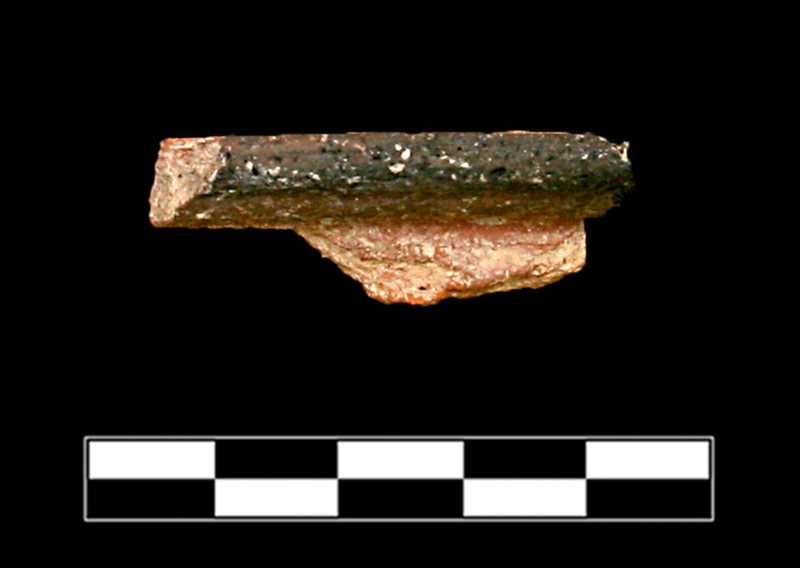 Granular fabric is reddish-brown with frequent small light angular inclusions; rare dark circular inclusions. Interior and exterior surfaces are reddish-brown consistent with fabric; grey towards rim showing signs of burning or use. 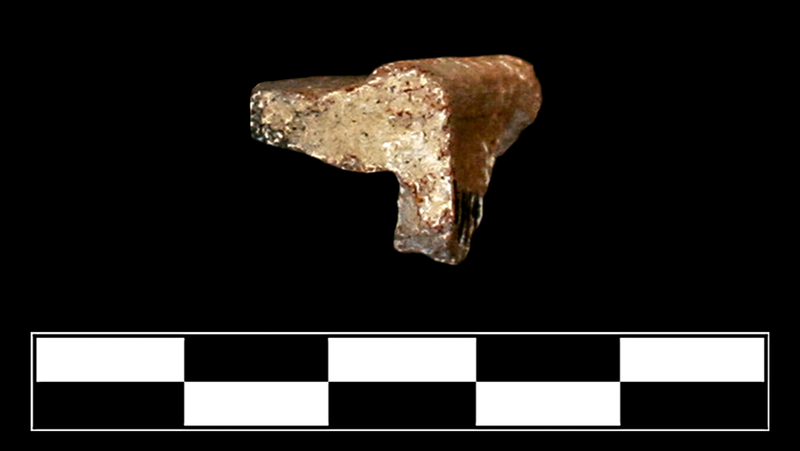 One sherd preserves 5-10% of rim and small part of upper body. Slight abrasion and flaking around edges and surface; thin, sparse patches of encrustation.